Home/EVENTS, NEWS/Brodynt is Attending Capacity Middle East 2018! Brodynt delegates are attending the Capacity Middle East event, that is being held in Dubai from March 6 to 8, 2018. 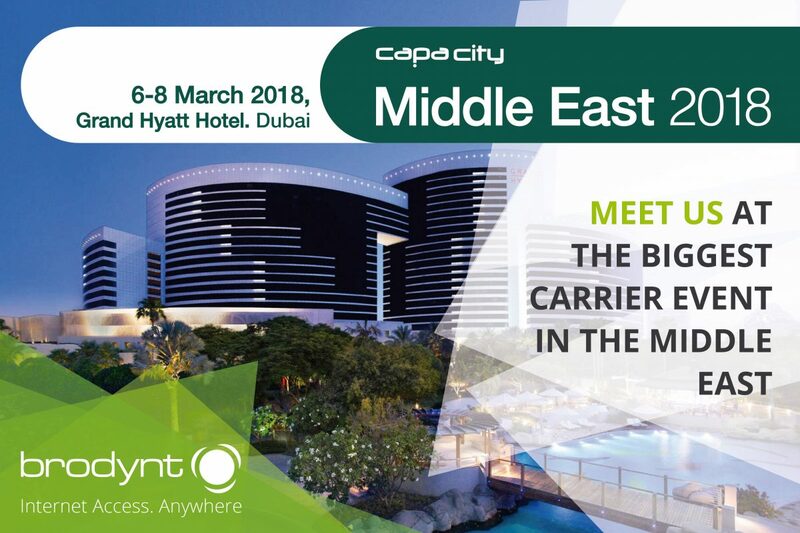 Now in its 13th year, Capacity Middle East 2018 will continue to be the largest meeting uniting all Tier 1 carriers in the Middle East with international Tier 1 carriers & service providers, and with high attendance from Tier 2 and Tier 3 carriers. The 2018 edition of Capacity Middle East features over 80 exhibition booths, more than 75 meeting rooms for business and over 20 hours of networking activities. This guarantees more than enough opportunities to have back-to-back meetings with the entire industry under one roof at the fantastic Grand Hyatt Hotel in Dubai. Our representatives Albert Bosch and Hugo Holmes confirm our commitment to growth and excellence in the Middle East region. This is an area that shows great promise for the connectivity and communications business, and we aim at strengthening and expanding our position as one of the leading players in the wholesale market in the region. Contact us to arrange a meeting! Brodynt means Internet Access. Anywhere. In the Middle East as well.